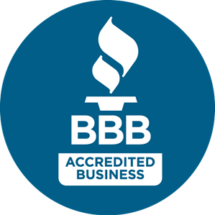 A Better Plumber, LLC is a full service residential & commercial plumbing company serving the city of Waldorf, Maryland. Locally owned and operated, we pride ourselves on our customer-focused approached to home services. From convenient scheduling options, to free estimates, to our customer satisfaction guarantee, it’s no wonder more customers choose A Better Plumber in Waldorf more than any other local plumbing company. Here at A Better Plumber we offer a full spectrum of plumbing services. Below you will find some details on the most commonly requested plumbing services we perform for the residents of Waldorf, MD. Need a service that’s not on the list? No problem! If it’s plumbing, we can do it, simply give us a call to discuss your specific plumbing needs at (301) 278-8786. With older homes comes older foliage. The trees in your yard have established root systems and may have invaded the personal space of your water lines going into your house. When it comes to water line repair, A Better Plumber has everything you could possibly need including the expertise and experience. They will do everything in their power to keep the damage to your home and landscaping to a minimum and get your water line back in working order. Well pumps don’t last forever. With more and more houses going in and water being pulled from every direction to accommodate them, your well pump could very well be working overtime to keep water flowing properly to your home. This overuse can cause burn out, it can cause electrical problems and can leave you without any water at all. If this happens, call our 24 hour emergency plumbing line and we will be right there to fix it. Low water pressure can come from any number of things. Call A Better Plumber for your free inspection to see what’s going on. We have the most up to date technology to find the reason behind low water pressure in your home. It could be something simple like a pipe needing cleaning or it could be a broken pipe and water flowing freely somewhere you don’t want it going. Call us and find out! Whether you are suffering from a sudden loss of hot water or are interested in increasing the hot water supply in your home, we can help. Our team of local plumbers in Waldorf are experts in diagnosing & repairing hot water heaters. Simply pick up the phone and give us a call today. We will dispatch one of our friendly plumbing technicians to your home. Once there, he will examine your water heater and diagnose the issue. After he discovers source of the problem with your water heater he will provide you with an estimate for repair. You can rest assured that you will receive a fair, honest, and affordable estimate for the repair. Our family of plumbers do not work on commission. This means that they are not incentivised to recommend or “sell” services that our customers do not need making us one of the most affordable companies providing plumbing service in Waldorf. If we determine that your water heater is past the point of repair, we can also assist you with the purchase and installation of a new hot water heater for your Waldorf home. Have you been dreaming about that new ranch style kitchen sink with a garbage disposal that actually works? Guess who can remodel and give you the dream kitchen you deserve without breaking the bank? We can handle all kitchen plumbing questions, concerns, and remodels. We can also just come in and fix a leaky sink, fridge water supply line, or help install that new gas stove and oven. Our licensed and insured plumbers are ready to help you love your kitchen again. Regardless of the source of your home’s clogged drains or backed up sewer lines, our team of drain cleaning experts has a solution. We unclog over 1,000 drains a year in the state of Maryland! For many homeowners over the counter drain cleaners are a go-to when drains become clogged and stop flowing like they should. But beware, over the counter drain cleaning products are dangerous for your homes plumbing system. Although they are cheap up-front and seem like a way to save money, they will inevitably cost you more in the long run. Scheduling proper drain cleaning service is hands down the best way to prevent small plumbing problems from growing into large, expensive repairs. The team at A Better Plumber has more than two decades of experience peforming leak detection in Waldorf, and throughout the Maryland and Greater Washington, D.C. area. If you are experiencing unusually high water bills, have noticed water pooling up on flooring, the ceiling, or inside walls, it’s time to call in a professional plumber in Waldorf. Seemingly small leaks such as drippy faucets or slow-leaking pipes can snowball into larger plumbing issues overnight. When you schedule service with A Better Plumber you can rest assured that we will arrive on-time, fully equipped to locate your home’s water leak at the source. Once detected we can provide you with an estimate for the repair and even get to work repairing your plumbing leak straight away. So, whether you have a leak under the slab, a broken pipe in a wall, or water pooling up in your yard from a damaged sewer line, we can fix it! Call on A Better Plumber in Waldorf today and have your plumbing leak resolved the same day you call. Whether you are in need of having a new sump pump installed or a broken unit repaired, we can help. We can replace old or damaged submersible sump pumps as well as their above ground counterparts, pedestal pumps. Whether you have a pump that you’ve purchased privately that you’d like installed, or you’d like us to show up with pump in hand ready for installation, we’ve got you covered. Sump pumps play a vital role in reducing the risk of flooding in your homes basement. After a heavy rain or when winter snow begins to melt, water can flow to areas it is not meant to. As a result, flooded basements have become a occurence for property owners in Waldorf Maryland. A properly functioning sump pump is the #1 way to reduce flooding in the basement of any property. If you are in need of plumbing service in Charles County do not hesitate to give us a call.